If you require a luxurious case that is oozing class, quality, practicality and distinction, then look no further. In addition, this case will protect your new tablet through its clever design, along with being practical for everyday use. The exterior of the case is luxurious with its soft to feel, deep dark brown finish. The interior, exquisite in contrast is lighter in tone with a gorgeous plush lining. Even though a lot of thought went into the look of this case, protection of your tablet has not been compromised. Your tablet is secured and housed in a custom sized neoprene pocket within the case, with a securing strap at the top of the pocket for added protection. In addition to the large internal accessory section and front pocket under the front lid of the case for everyday items, you can also carry a phone in either of the easily accessible front pockets. For items that may be needed more often such as travel cards, there is a back pocket easily accessible but secure as the pocket is out of view at the rear of the case. 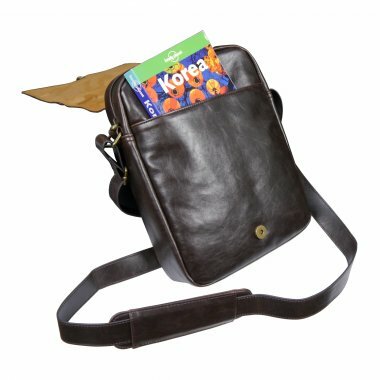 For comfortable carrying the shoulder strap is fully adjustable. From the above we are sure you will see that this case is built to last and satisfy the most discerning needs. There is no need to take our word for it with the GEM 'No Quibbles' return policy if you are not completely satisfied with your case. The case is also backed by the GEM Life Time Warranty. Peter in Wales March 12 Impeccable service: the netbook case was delivered the day after I ordered it. As for the bag, I use it for an Asus eeePC netbook, which fits very comfortably, and the external pocket takes the power adapter and plug snuggly. The bag looks to be well made as well as thoughtfully designed: I am very happy with it, and would confidently buy from Gem Bags again. Rob May 13 Great little bag, much better than just a sleeve in my view, holds the notebook safely and enough room in the front pocket for the charger and mouse.